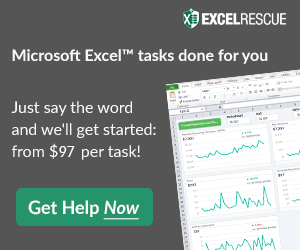 Many, many, many Excel users post this problem in user forums. And this one always throws me for a loop and takes me time to solve it. 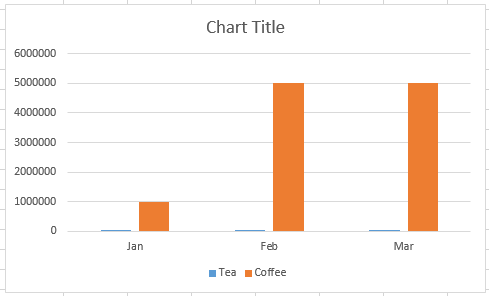 So I thought I would send it out to all the Excel enthusiasts to see if you can fix this Excel Chart. 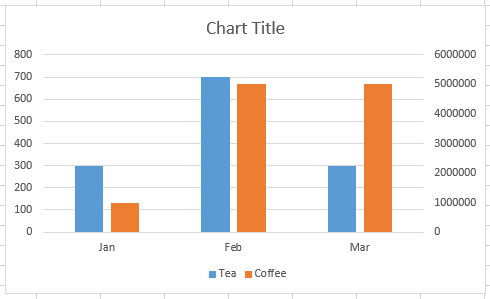 However, my data series are not of the same scale, so, I decide to create 2 vertical axis’ so that the scales are distinct for the two data series. So then I go to the next step. 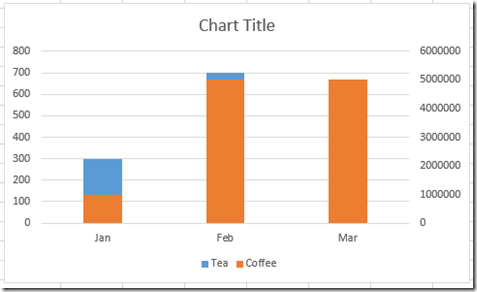 3) Move the tall orange columns to the secondary axis.
. Why is my Excel charts now an Excel Stacked Colum Chart? I just want the two columns in my chart to be separated on 2 different vertical axis. How can I fix it? How would you make this 2-D Clustered Column Chart with two vertical axis scales? Copy the data from above and give it a try. Let me know how you would create this chart in the comments below. Regardless, comeback tomorrow and see how we can handle this using Excel Charts. Awesome job, you nailed it! I’ve just sent you a mail regarding the solution. The desired result can be achieved by inserting two blank columns between the series,keeping the ‘Tea’ & ‘Blank1’ series in Primary vertical Axis and ‘Blank2’ & ‘Coffee’ series in Secondary Vertical Axis. After a little bit of tweaking with ‘Gap Width’ & ‘Series Overlapping’, we can have the chart. Good job Maruf and thanks for the graphic. It was very helpful!